In a nutshell, there are dozens and dozens of cards that prompt a question to the players, and all each person needs to do is write a response. The responses are then collected by a designated reader who reads them out loud. Each player take it in turns to guess who said which response, gaining points as they go or sitting out the round if they choose incorrectly. 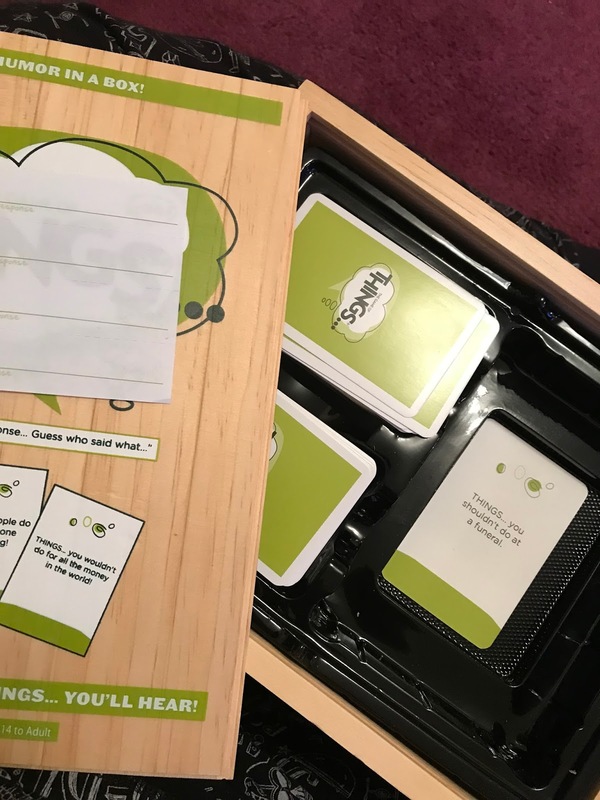 It's the kind of game that is easy to pick up and that can fit in with the group you are playing with - so if it's something for the family, silliness will no doubt ensue, but with friends, well, it may get a little saucier, shall we say! The more players, the more fun can be had but it'll also make things harder and could turn into an all night game session. 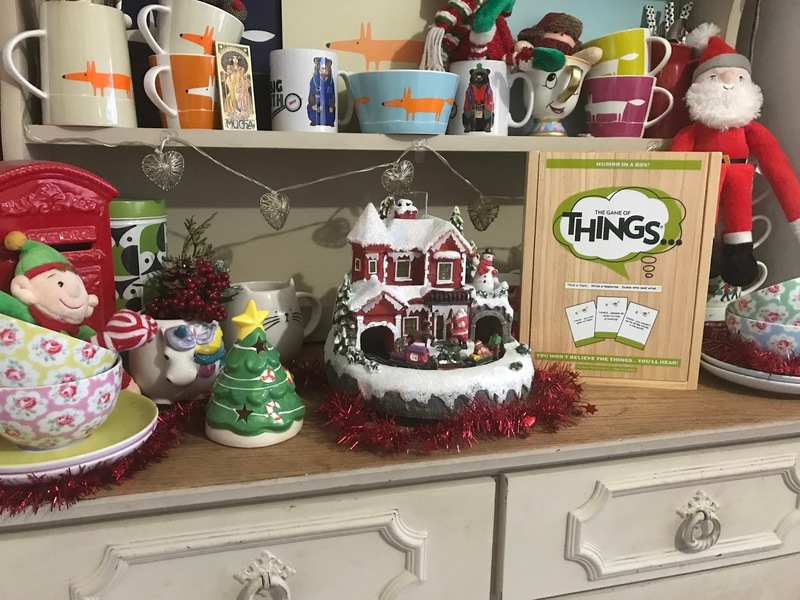 My top tip is to read the instructions thoroughly, and have a test run, so that everyone can work out the mechanics of the game and how you take turns at being the reader. Also, take a look on YouTube as there's tons of videos on there including celebrities playing the game on Ellen, so this will give you a good idea of what's involved. 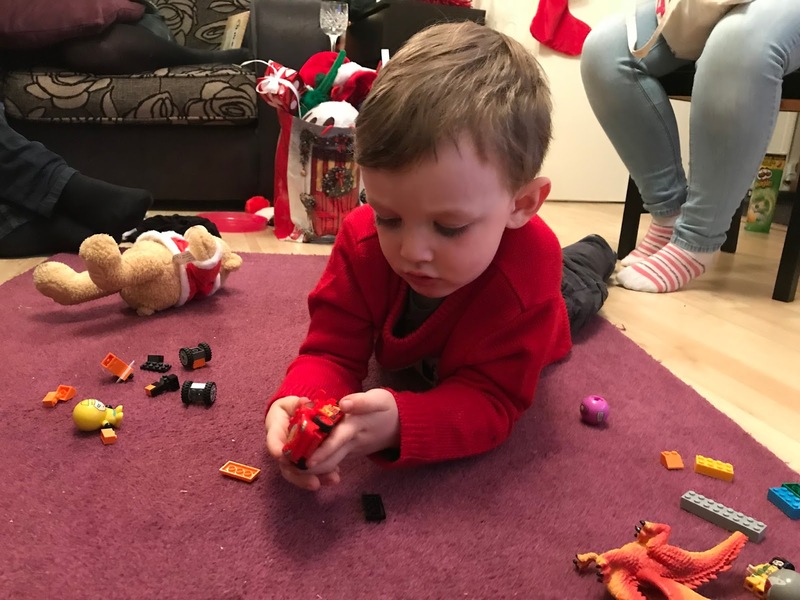 We had to be a bit careful with Ethan around, as he started to repeat some of the things we were putting on the cards! 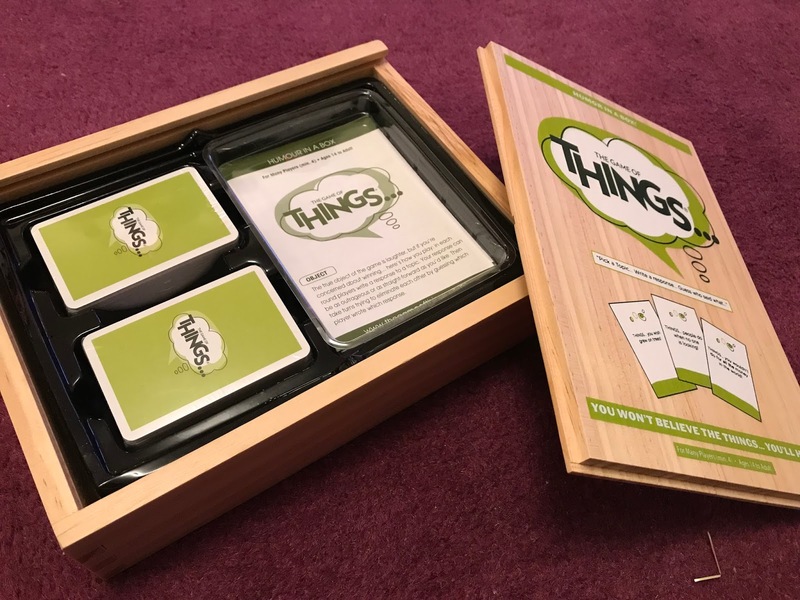 There are different versions of the game available, including an adults only version, The Game of Nasty Things, but we have the original game and enjoyed playing this and will do doubt take it along to my in-laws on Christmas Day too. 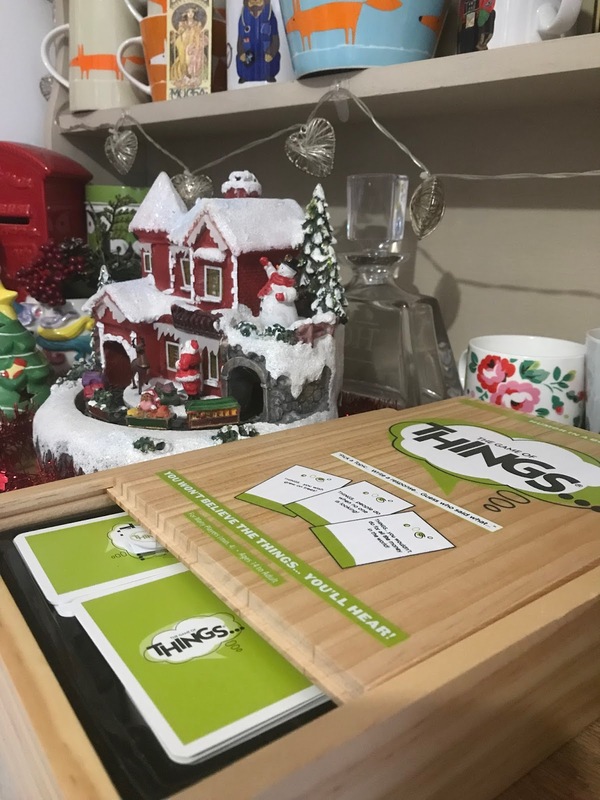 The presentation of the game is really nice too, in a wooden box, which gives it a premium feel so it would also make for a fun Christmas gift for a friend or family member. 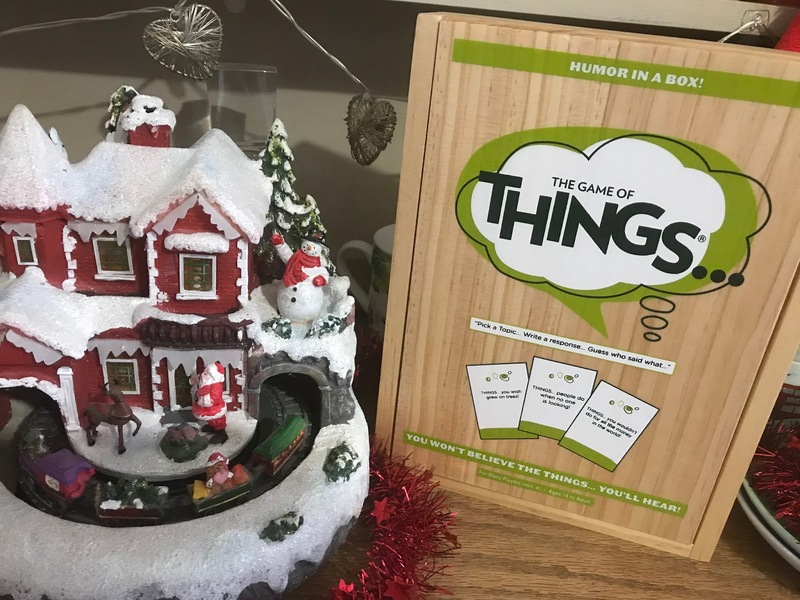 The Game of Things is a fun party game and can be bought online from various shops, including Amazon, currently priced £32.99. * I received this game for purposes of review, but opinions remain my own.